Kingston’s equivalent to the Loch Ness monster is missing from bushy park after several sightings in the recent months. 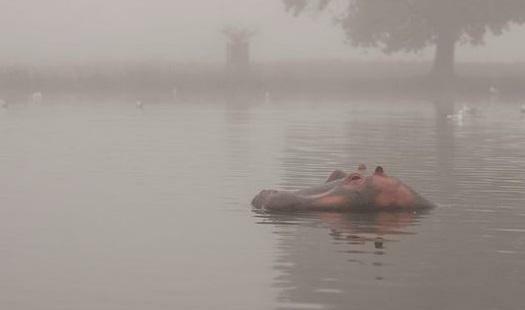 Africa’s most dangerous animal, the hippopotamus, was last photographed swimming in the boating pond three weeks ago, captured floating amongst the mist. Bushy Park, the second largest of the capital’s eight Royal Parks, is a top attraction for both locals and tourists. The creature turned a few heads amongst visitors but has raised no cause for concern.